Last month, My workmate needed to restore Windows Server 2008 R2 Bare-Metal backup to a VMware workstation environment. 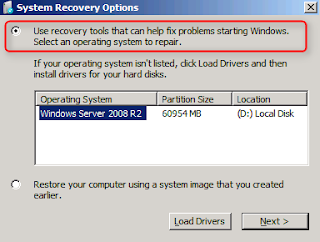 By default, Windows Server 2008 R2 Bare-Metal backup restore to a VM, Hyper-V or VMware workatation, it will show "STOP: 0x0000007B" error. 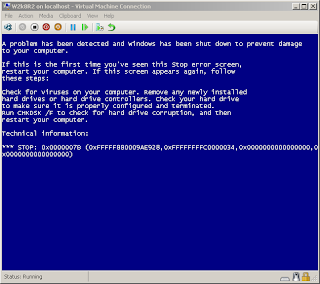 Then, I searched and read a useful post, Restoring a Win7 Complete PC image in Hyper-V. 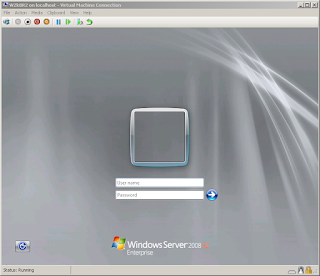 The forum users provided solutions for Hyper-V and VMware workstation. I tried to show you the steps which are provided by this forum. 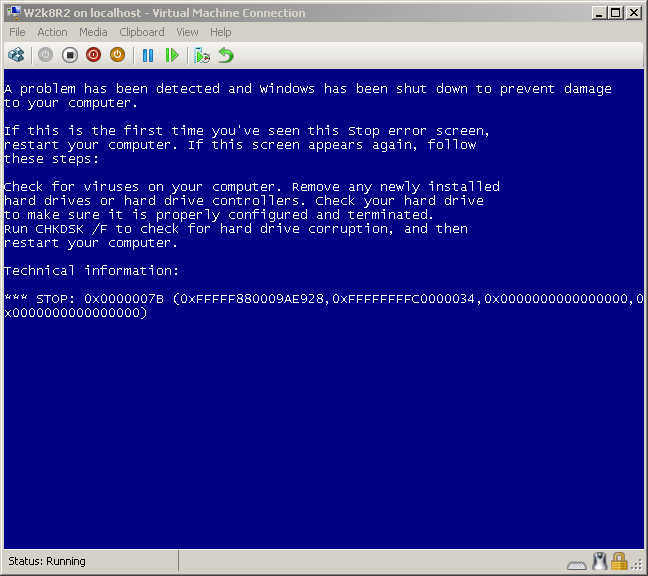 Assuming that the Bare-Metal backup was restored to a VM and you get the "STOP: 0x0000007B". 1. 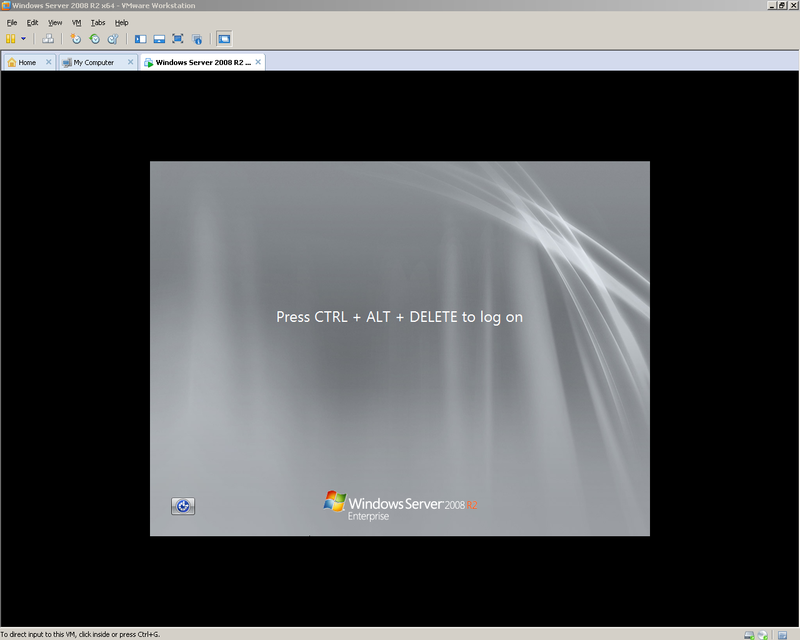 Insert Windows Server 2008 R2 DVD. 3. On "Install Windows" screen, click "Next". 4. Click "Repair your computer". 5. Select "Use recovery tools that can help fix problems starting Windows. Select an operating system to repair.". 8. 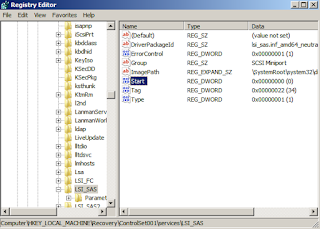 Perform "regedit" to start "Registry Editor". 10. On the menu, click "File > Load Hive". Remark: Note that the restored Windows may be restored to another drive letter. 13. 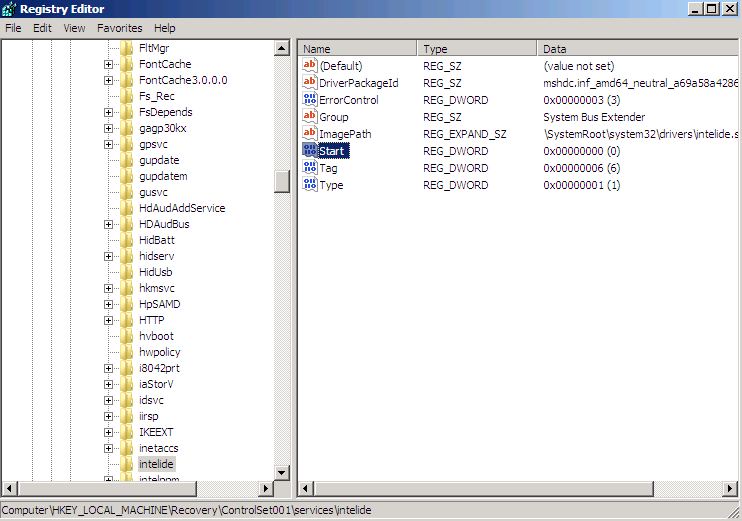 Under "Key Name", type "Recovery". 17. Change the "Value data" to "0". 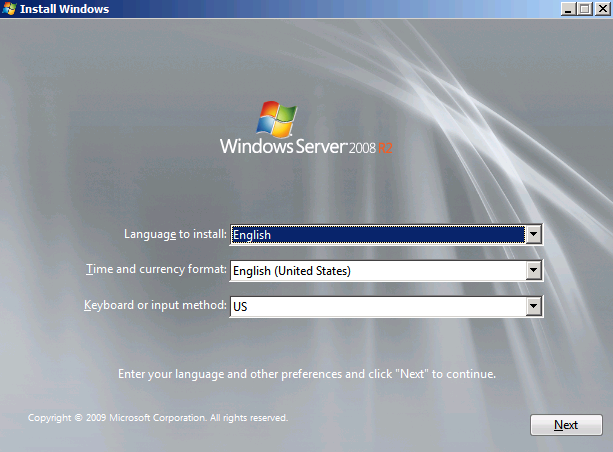 Remark: I tried to modify this setting and then the Windows Server 2008 R2 can boot up in Hyper-V environment. If the above setting doesn't work, please change the following registry settings. 20. On the menu, click "File > Unload Hive". 21. On "Confirm Unload Hive" window, click "Yes". 23. On "System Recovery Options", click "Restart". After restarted, the Windows Server 2008 R2 can boot up in a VM of Hyper-V.
1. 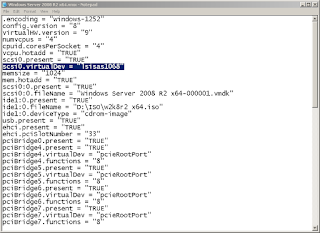 Navigate to the .vmx of the Windows Server 2008 R2 VM. 2. 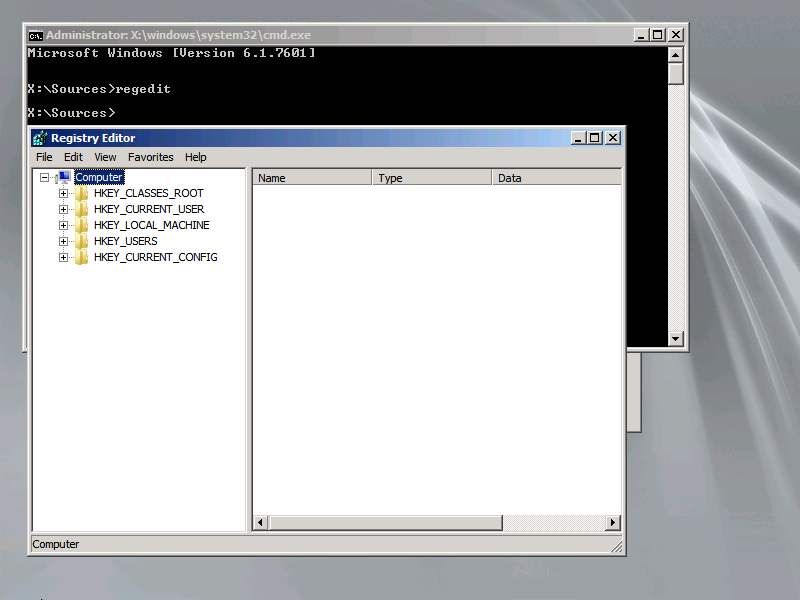 Open the .vmx file by Notepad. 3. 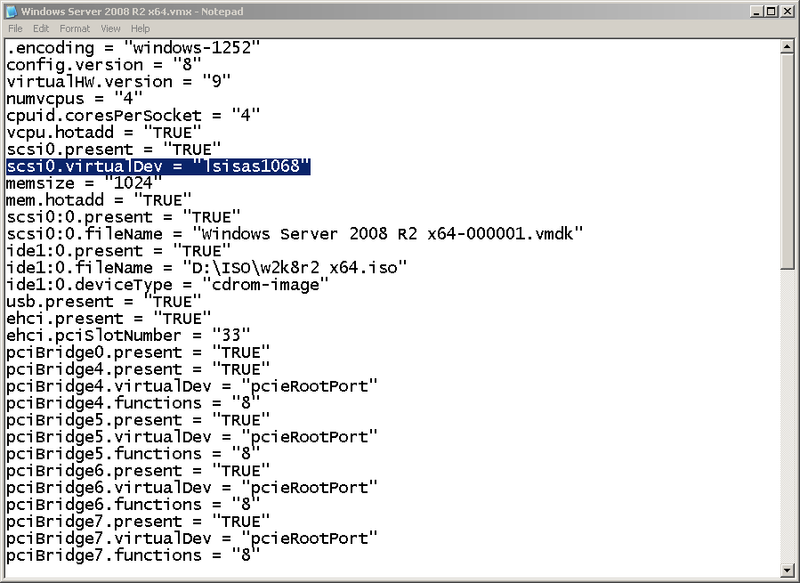 Make sure the .vmx file includes "scsi0.virtualDev = "lsisas1068"". 4. 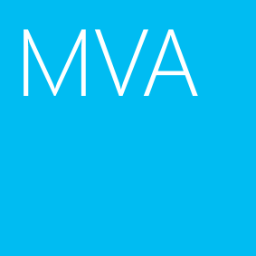 Close the .vmx file. 5. 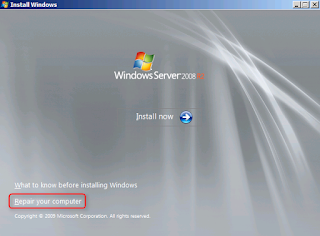 Insert Windows Server 2008 R2 DVD. 7. 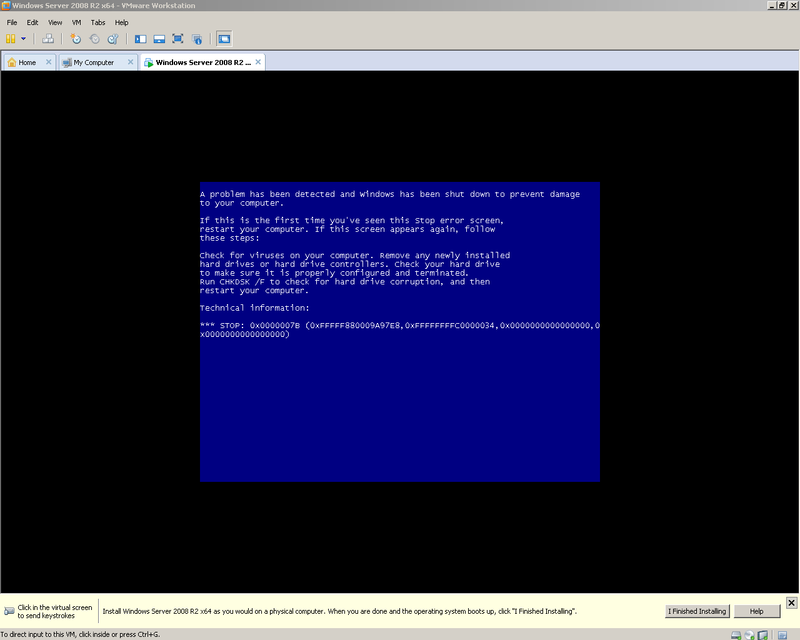 On "Install Windows" screen, click "Next". 8. 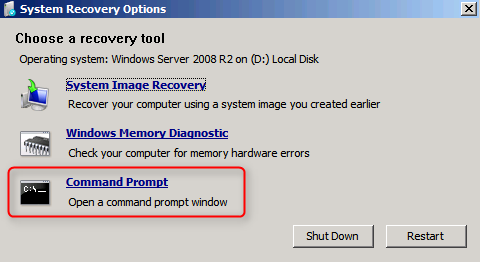 Click "Repair your computer". 9. 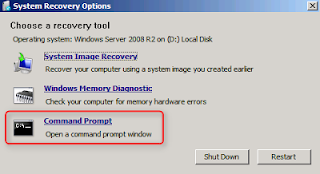 Select "Use recovery tools that can help fix problems starting Windows. Select an operating system to repair.". 12. 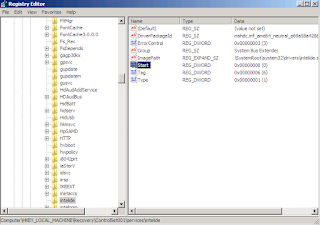 Perform "regedit" to start "Registry Editor". 14. On the menu, click "File > Load Hive". 17. 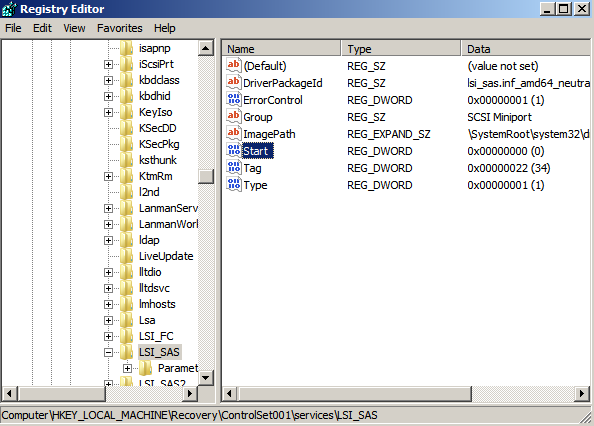 Under "Key Name", type "Recovery". 21. 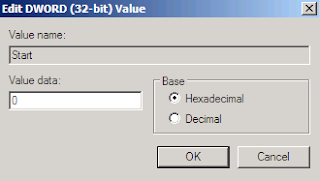 Change the "Value data" to "0". 24. On the menu, click "File > Unload Hive". 25. On "Confirm Unload Hive" window, click "Yes". 27. 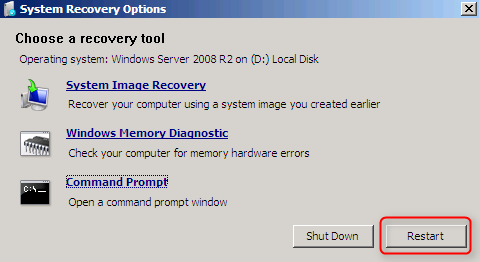 On "System Recovery Options", click "Restart". 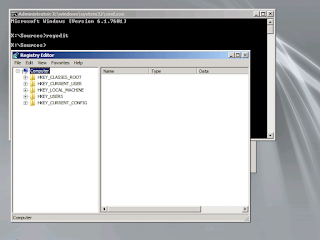 After restarted, the Windows Server 2008 R2 can boot up in a VM of VMware workstation. Thanks Terry!!! You are the man !!! Thanks! It was big help! This didn't work. After doing that it gave me a new stop message 0xc000000f. Did you do anything else? Nothing else. Would you mind providing more information about your system and software environment? I don't have this in my registry. Any pointers? The screen capture under [18. 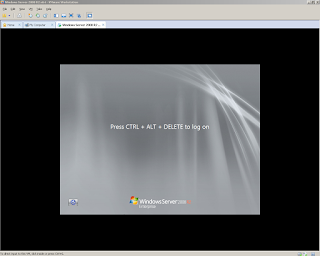 Click "OK"] of [For Hyper-V]. I scoured the net for two nights and found countless references to the regedit setting for intelide but thanks to your listing of all the settings, I was able to restore my sbs 2011 backup into a VM in server 2008 r2 and get past the "Windows failed to start. A recent hardware or software change might be the cause." error. Big thanks to you! i've got the Same Problem but everytime i got the same Error. If i am looking in regedit again i just see that the Attriubutes rechange to mabye : aliide Start (0) but i changed it to 3..
Have you selected the previously loaded hive and then select Unload Hive? Could you provide more details of your issue? 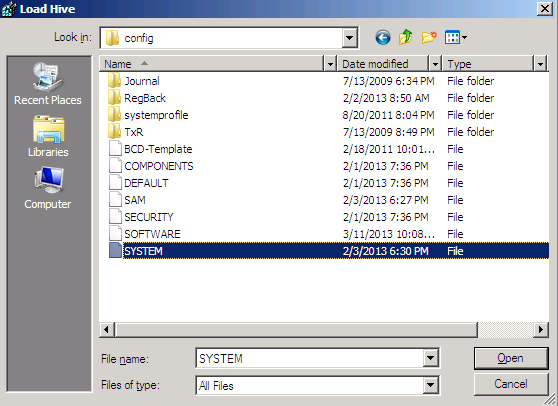 By the way, you can read Load or Unload Registry Hives for your information. Wow worked for me! Thanks very much! Excellent. You are a god. But do you have some documentation about the "hive method". What is it? Please read the following web sites for your reference.